The 19 year old pilot, drove the 500 miles as a veteran in Indianapolis and next Saturday will debut on the street circuit of Detroit. 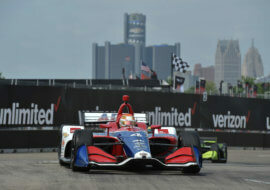 The seventh round of Indy will be done next Saturday on the streets of Detroit, where Leist will run for the first time. The seventh round of Indy will be done next Saturday on the streets of Detroit, where Leist will race for the first time. 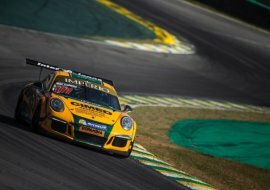 The challenge for the Brazilian pilot will also be new as it will be his first time racing in pair, once on Saturday and then on Sunday. 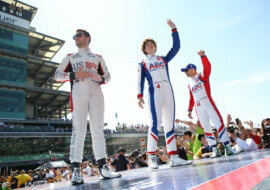 Having consistent results in Indianapolis’ 500 miles, Leist hopes to get good results on his debut. “Detroit is a street circuit that I don’t know. To be honest, I was there last year for a TV recording and drove by to check out the place, because it wasn’t on the Indy Lights calendar. It has a wavy asphalt, but overall it seemed nice. Our team usually does well on street circuits, we did well in Saint Pete when I started on third but, on the Long beach race that didn’t happen and me and Tony (Kanaan) started a little farther behind. We hope to get back to the top 10 this time” said Leist. Champion of the English F-3 in 2016, Leist was one of the biggest highlights of Indy Lights in 2017, after winning 3 races, one of them being the most important of the season: Freedom 100, preliminary of the 500 miles in Indianapolis. 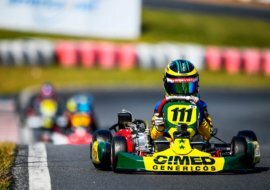 In 2018, the pilot of AJ Foyt on Indy gets the support from Cimed Racing, the biggest platform of support to brazilian automobilism. “I’m motivated for completing the 500 miles as the second best rookie and 13th in general. It was the toughest race of my life and I’m sure the next challenges won’t be easier. Our goal is to continue adding important points to the championship and if we have a good set up we’ll certainly get closer to the leaders” said Leist. The free practices in Detroit will be done this Friday. The qualifying round for the first race will be on Saturday at 11:55 and the race will start at 16:40 of the same day. The definition of the grid for the second race will be at 11:45 on Sunday and the race will be at 16:50. Both races will be transmitted live on BandSports.